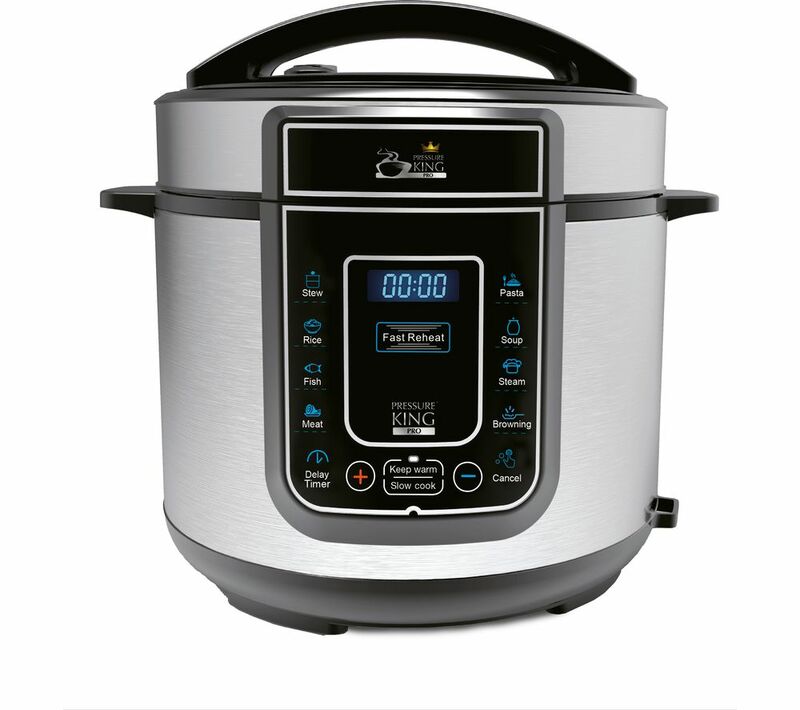 Instant Pot -- All the Cool Kids Have One! Last night I threw some green beans in with a couple of cups of water, salt, pepper, a little herbes de provence and set it to pressure cook for one minute -- OMG. I've been going the full "parboil, ice chill, saute" route for green beans for forever, and these were way better. WC Fields had a parboil cooking hint. He said "there's no such thing as a tough child— if you parboil them first for seven hours, they always come out tender." I've had one for a couple of years now. Bestie got it for me for Christmas. I love it, but I don't really do anything interesting with it. I basically use it to cook steamed chicken breasts in; sometimes with rice. wooo. And roasts; throw a roast in with some carrots and potatoes and call it done. Thanks for this thread, Casey. I've been on the fence about one of these doodads. I almost got one during the Black Friday week at Amazon, but after reading a ton of reviews and looking at pictures of them with the metal sides caved in, and the plethora of accessories that might have to be bought, I held back. Just out of curiosity, which size did you get? I was very much on the fence between the 6 qt and the 8qt. I want the 8qt so that I can do larger quantities if necessary, but it looks large. Also, what of all these different options of what it can do (I think there are 3 levels?) Some with yogurt, some without, others with cake making. Which one do you have and have you tried anything unusual like cheese cake yet? Mine's a 6 qt -- "wifi enabled", but SLU/VVO has long ago wised me up to what a bad idea THAT is, so wifi enabled will remain disabled. I haven't seen an 8 quart live and in person, but this 6 qt is about as big a thing as I would want on my counter. It will just fit in the standard 11 1/2" vertical space over many kitchen cabinets -- probably not an accident. I'm still working on making the chicken dish I made, which is freakin' awesome. What I like, other than that the food has been good, is "push the button, go do other stuff" -- I would never have even thought to pressure cook green beans for a minute -- way too much standing at the stove waiting for the little ticka-ticka thingy (tm) to start wobbling. I don't know why the sides would cave in -- first, the thing is built like an armored car, but there's also a vent you crack when it's done cooking. I guess, maybe if the vent got closed after some pressure had vented, then it cooled down? It's completely sealed while it cooks -- which is weird, because you're used to smelling your food cook! -- so it's not like it would naturally form a vacuum inside without some sort of cook error. 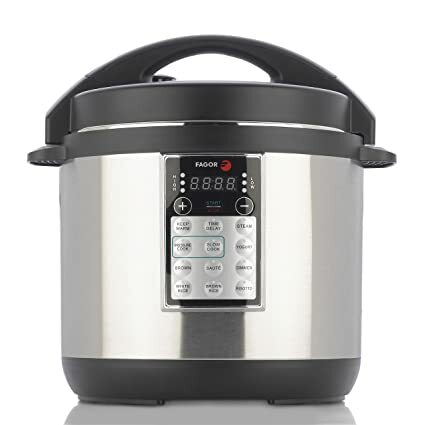 But -- I'm actually considering getting one of these Instant Pot thingies some day. Thank you. Yeah, the pictures weren't during usage, I don't think. They received them that way, so must have been during shipping which led me to believe the sides weren't so sturdy. Other than that, the main complaints were the steam causing damage to the underside of cupboards when using the quick release. I wouldn't even do that, being on the wary side, I would likely use the natural release. I would mainly be doing things that normally I would use a crockpot for, or long-cooking things like beans, but I have to admit that cheesecake intrigued me. I like to make refried beans and naturally that takes a fair amount of time normally. Also, being able to have a tender chuck roast (or other tougher cuts of meat) in a short amount of time interests me as well. Thanks for the info and happy one-potting! year it is considered a Christmas present ie I had to replace first my screen then my tower.. so Christmas and birthday for me. I also don't need MORE STUFF I want to get rid of stuff. I have not opened it yet to try, probably once the holidays are over. My instapot is not the instapot brand. It is a Fagor Lux multi cooker. I haven't used it much since receiving it as an Xmas present last year. 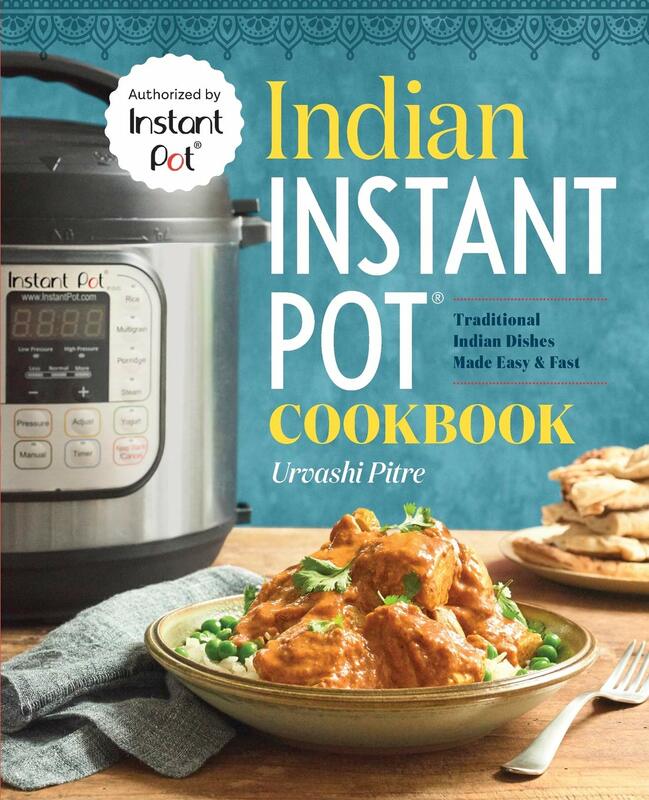 I have a book of Indian Instapot recipes which look delicious and I need to try. I've never had much luck cooking Indian food on the stove top. Maybe this will work out better. The rotisserie chicken recipe looks very tempting to try. I have limited oven space and because I had both the turkey and roasted root vegetables in my oven, I had to come up with an alternative for the stuffing. I was focused on the microwave until my husband asked about the Instant Pot, and I thought well, why not. So I looked up some recipes and ended up making my stuffing in the instant pot, using it as a slow cooker. It was awesome! So I looked up some recipes and ended up making my stuffing in the instant pot, using it as a slow cooker. It was awesome! I basically use mine in leiu of a slow cooker; it's faster and more reliable -but apart from that I do the same thing with both. I have a Breville appliance that I think is the same as an Instant Pot. I hated it for a while because I thought it didn’t work half the time. Then I realized I had to make sure the top thing had to be seated within the other thing /flexes her mechanical vocabulary. Now it works all the time, but I often struggle to get the top off when it is done cooking. I’m sure I’m doing something stupid, but I have no clue aside from making sure it is depressurized. 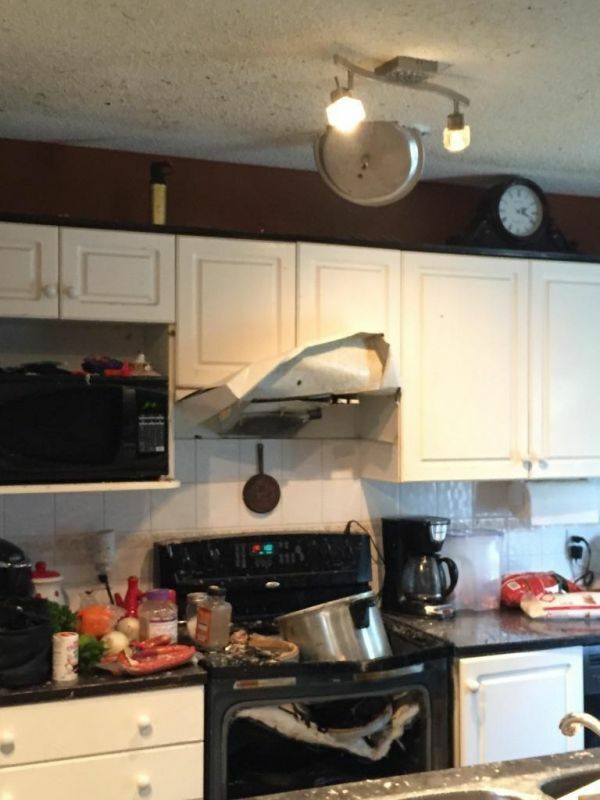 Some pressure cooker recipes on the net are not so great. Does anyone have a good site? I don't know the Breville, but I took a look at the manual and it looks a lot like the Instant Pot system for the lid release. With my IP, one must be patient -- just because it stops violently spraying steam does not mean it is depressurized -- the little "valve" (next to the pressure release valve) has to drop. Sometimes that take up to about a minute after you do the quick release. I'm all ketoed up these days, so I don't know many "normal" sites for the IP, but the Keto Queens make some really scrumptious recipes with the Instant Pot. Maria Emmerich does a lot of IP recipes, and while they're keto, some aren't too ketoish --- there's a Lemon Piccata chicken recipe that's awesome. Last night I made her "Five Ingredient Pork Roast" recipe --- a pork loin, 2 cups of chicken stock, a thick-sliced onion, salt, pepper, and your choice of dose of garlic. 35 minutes of pressure cooking, and wowser. You serve it drowned in the cooking juices or with (sugar free) BBQ sauce, or whatever strikes your fancy. I used a Walla Walla sweet onion ...........so good. Oh, and I seared the roast before pressure cooking it, though the recipe didn't call for it. I like some browning on the meat, and I deglazed the pan with the chicken stock. Thanks, Casey! I bet you are right on being patient and waiting to open the top. It acts like it is still pressurized, so maybe this means it is still pressurized. I will try the sites you mentioned. We don’t follow the keto diet, but the guy is very big on getting enough protein and fat when we’re really physically active, which thankfully we’ve been able to maintain thus far. I am a bit sidelined as I slipped when running and bonked my head on the concrete, but it is a dense, bonkable head so I’ll be back at it soon. I bought one, a Pressure King Pro, about 6 months ago, and I find I use it all the time. I chose that model because it was the only 3-litre one I could find -- there's only one of me and space in my kitchen is limited, so I didn't want a larger model. I've made soups, porridge and risottos in it, but also I've discovered it's great for cooking fish straight out of the freezer and also, rather surprisingly, most meats. Pork chops, for example, are lovely if I sear them in the pot for a couple of minutes each side and then remove them, add water to the pot, and then put in a steamer and place the pork chop on that, with some seasoning, and let it cook for about 30 or 35 minutes. They're wonderfully tender and tasty. Last night, indeed, I followed a suggestion I'd seen online somewhere for cooking sausages in the -- 10 minutes in the steamer, to keep them out of the water, then slow natural release, and then remove them from the pot, pour out the water, wipe the pot dry and add a little oil and then sear the cooked sausages for about 2 or 3 minutes on each side. Very successful. I got the 6 quart and have not considered it too small. In fact, for me it's just right. I have a small house and it fits perfectly where the slow cooker I got rid of used to be. I also got rid of the rice and the yogurt maker once I made both in the instant pot. A bunch o’ questions: Do you have recipes or general instructions for the fish? When you add water to the pot for pork chops, how much water do you add? What seasoning do you use and do you just sprinkle it on the pork chops (if so, doesn’t it all just come off)? Does a slow release make much of a difference? I'm just cooking for myself and I'm rather limited in what I can easily eat because of the long-term effects of radiotherapy on my throat. My standard fish recipe is to brush one portion of frozen salmon with some olive oil, powdered dill and some chopped garlic. I put about 3/4 pints of water plus 1/4 pint lemon juice in the instant pot and then put the fish in, in a steamer so it's not submerged in the liquid. The pint of liquid, at least in my cooker, comes up to the minimum fill line, and the steamer keeps the fish (or anything else) out of the liquid. If I were cooking the food in a sauce, I wouldn't use the steamer, but I normally don't bother with making a sauce. For the pork chops I usually use some salt, pepper, garlic, smoked paprika and some sage (or, if I'm feeling lazy, which is quite frequent, just some Schwartz pork seasoning) rubbed into the chops with some olive oil. The slow release vs quick release makes quite a difference, I think, because the food continues to cook under pressure while the slow release is going on -- it normally takes about 10 minutes or so, which is usually at least a good proportion of (and often as long as) the actual cooking time.